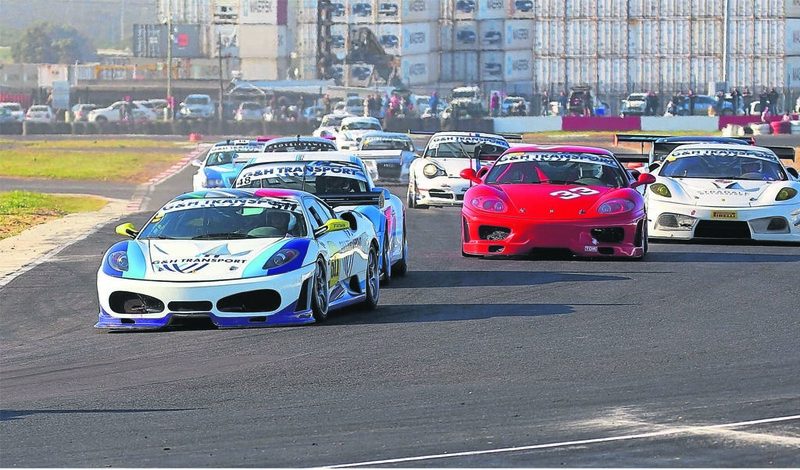 A selection of the best racing drivers and riders in South Africa will be at Killarney on Saturday for the final Cape round of the national Extreme Festival. Topping the list are the Sasol Global Touring Cars where an Engen Audi A3 in the hands of current championship leader Michael Stephen will be everyone’s target. But while Stephen is undoubtedly quick, it was his Audi teammate Simon Moss who led him across the line during their Festival meeting at Killarney in April. Another driver who could cause an upset is multiple former saloon champion Johan Fourie, who will have a home circuit advantage in his EPS Courier Services BMW 2 Series. Fourie has been in cracking form recently and this may be his turn to shine. Then, Gennaro Bonafede (Sasol BMW 2 Series) and Matthew Hodges (VW Jetta 2L), are another pair who could challenge for the coveted chequered flag. The single-seater Investchem Formula 1600 category also has an interesting local angle. Here, while the Free State’s Stuart White has dominated the title chase so far, there may be a small cloud on his horizon, because Killarney teenager Joshua Dolinschek was sensational during his most recent regional outing. Tackling White and with both of them at the wheel of identical Mygale racers may well be a bridge too far, but it is going to be interesting to see how he fares in exalted company. The largest entry has been received for the one-make Engen Polo Cup where 21 evenly matched cars whose young drivers, “skrik-vir-niks”, will be fighting it out. But while the smart money is on Jeffrey Kruger in this one, lady driver Tasmin Pepper, who currently leads the Masters Class and is third on the overall points tally, set a new Polo Cup lap record time during her last visit to the Cape. Killarney is her favourite circuit and she could spring a surprise on Saturday. There will also be events for Pirelli Sports and GT cars, as well as Mike’s Place Clubman Saloons. Motorcycle fans will be able to look forward to the races for the Red Square Kawasaki Masters Cup and the Bridgestone Thunderbikes. There will also be an emphasis on family entertainment and Larry Soffer, who is South Africa’s top mentalist, is going to drive around the track while unsighted and wearing a blindfold. Carnival entertainment includes live music from the Coke Gig Rig set up alongside the clubhouse. There will also be a big Airbag Jump, a Parachute Rocket, a live snake show and a giant outdoor screen at the clubhouse showing the racing from other areas of the track.